The male uppersides are rich orange with dark/black spots. On the hindwing there is an arc of five post-discal spots on the hindwing; the central spot is noticeably smaller than the others. The female ground colour is paler and there is a row of pale spots around the margin of eaht wing. 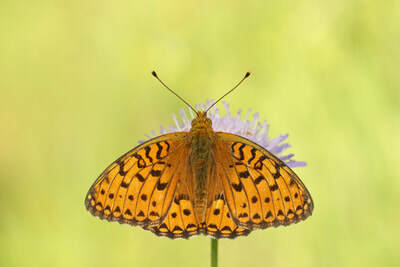 Often there is a heavy brown suffusuion at the base of eacht wing. 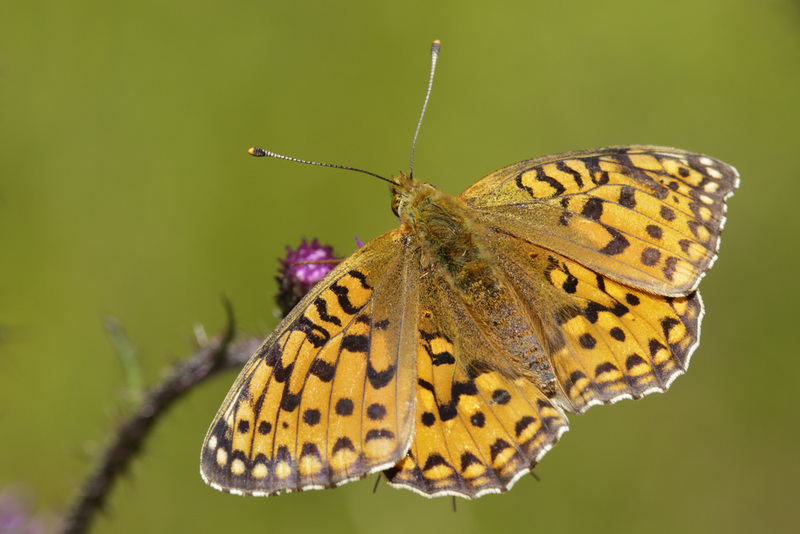 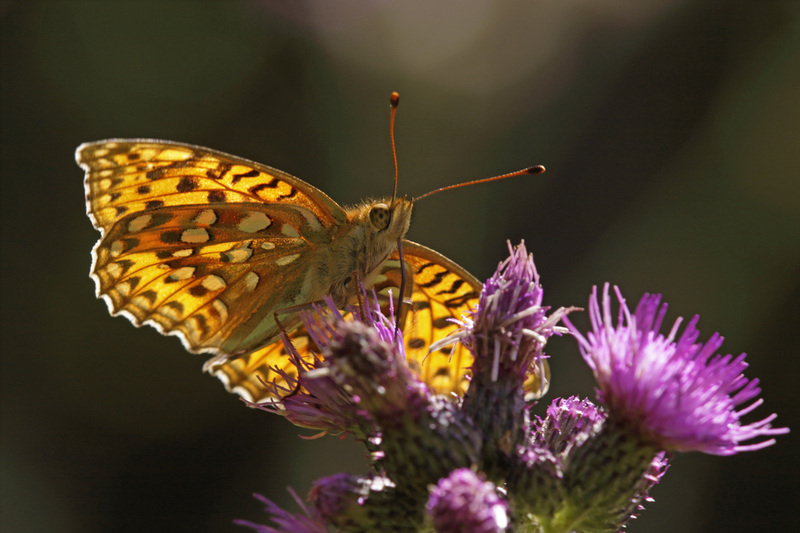 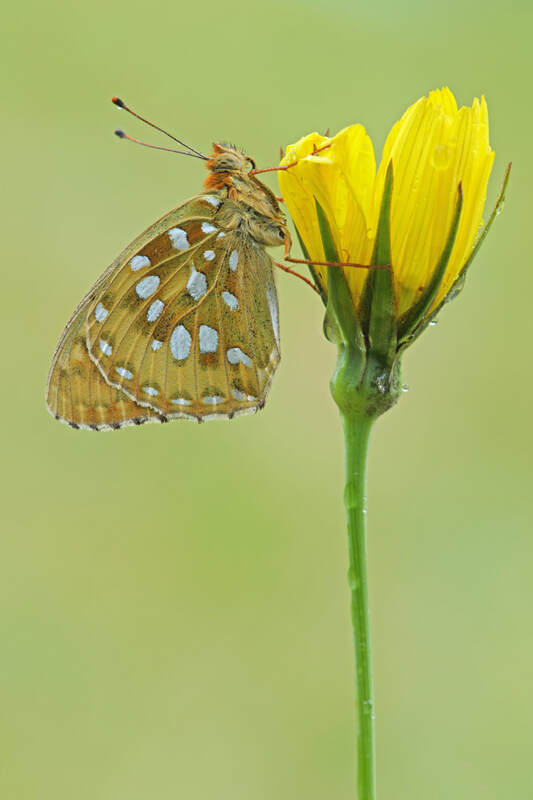 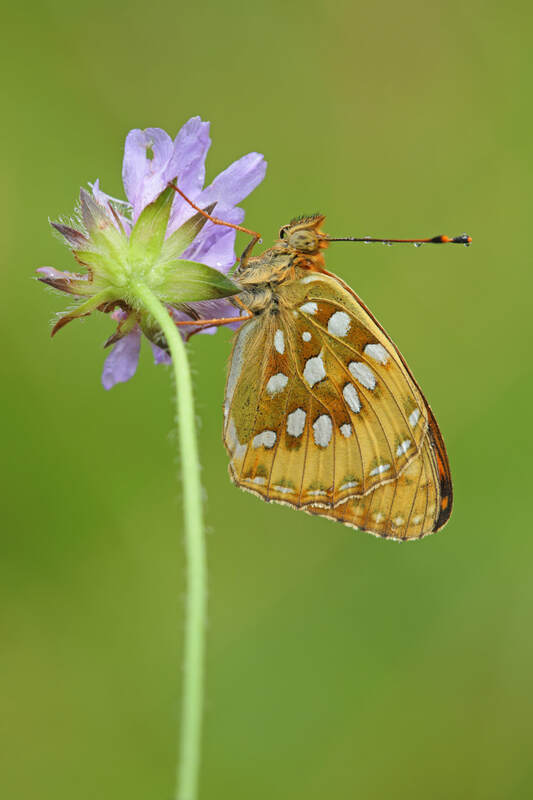 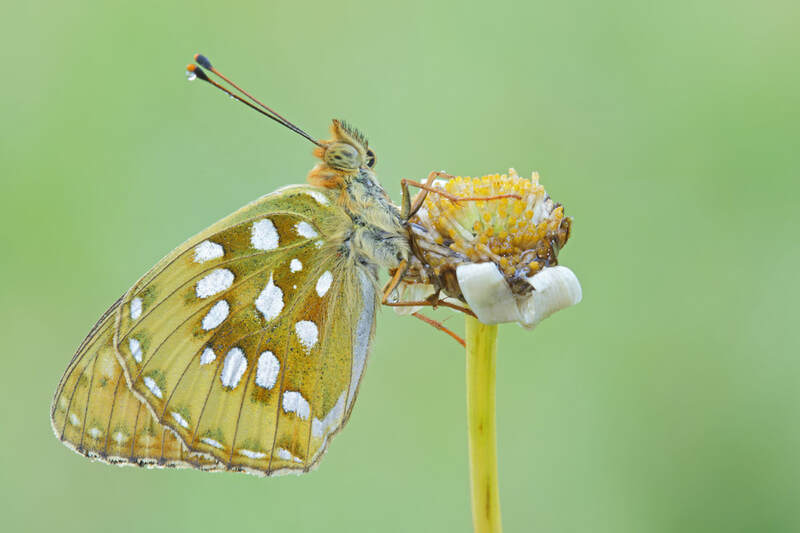 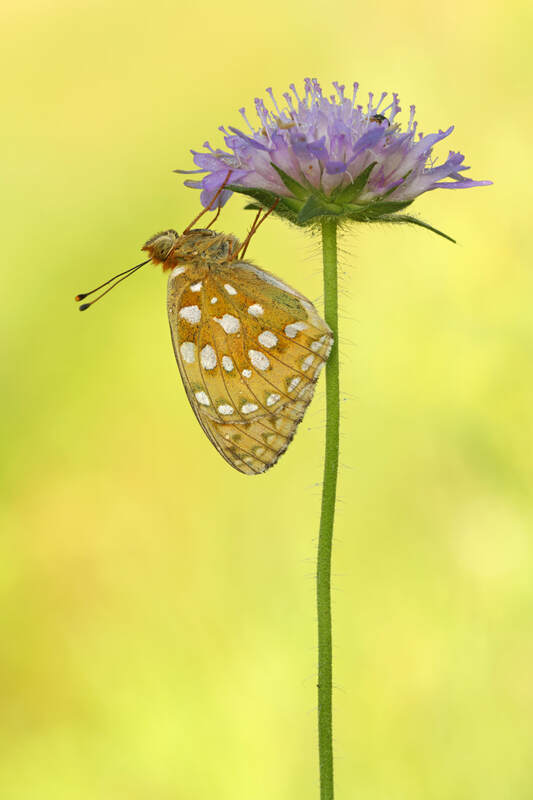 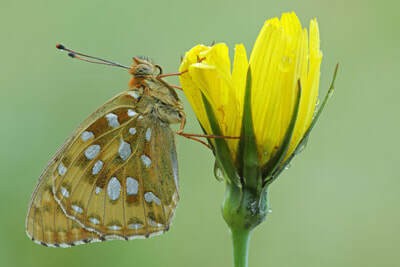 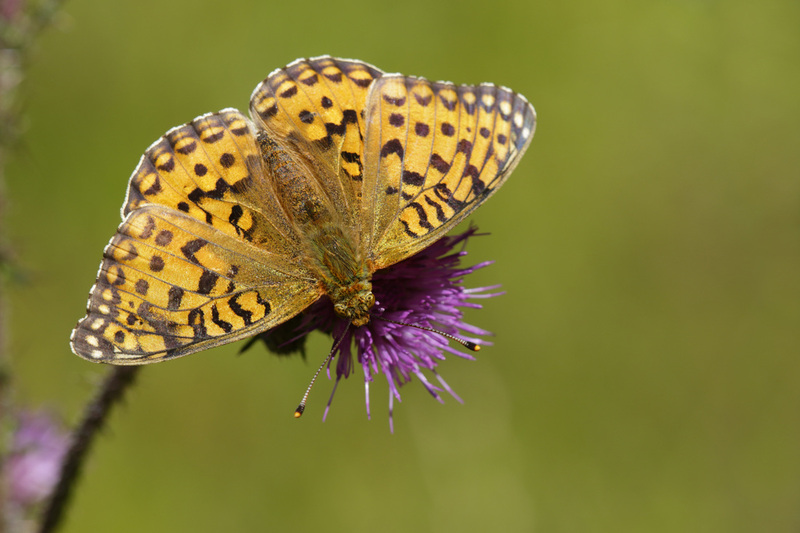 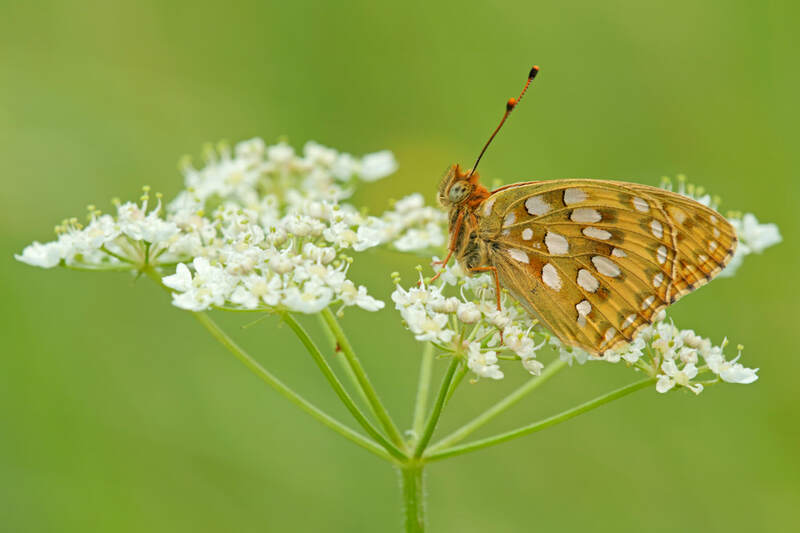 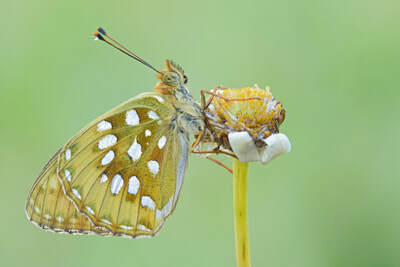 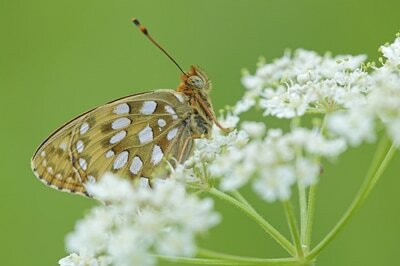 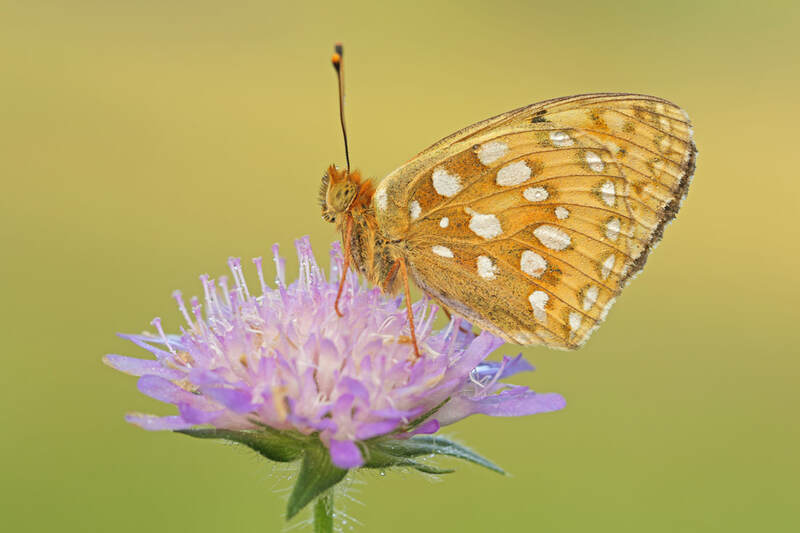 The underside of the forewing is pale orange in both sexes with black spots and a row of silvery spots or dashes. 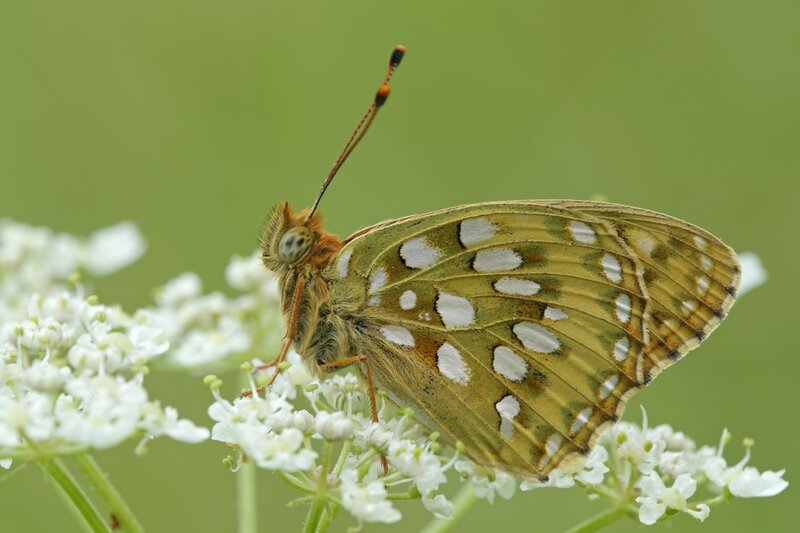 The underside of the hindwing is largely green with large silver spots. 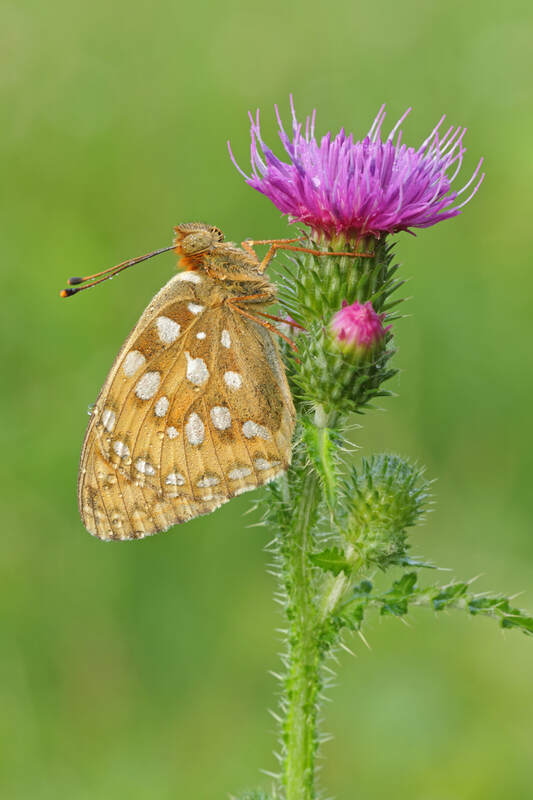 Flight from June to August in rough grassland with thistles and kanpweeds. The larval foodplants are various violets.